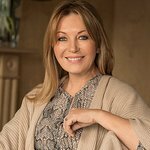 Kirsty Young s a Scottish television and radio presenter, and president of UNICEF UK. She has been the main presenter of Crimewatch and Desert Island Discs. Google trends for "Kirsty Young"
We don't have any videos related to Kirsty Young.